Alongside our full range of services for business, Penn Jersey can proudly claim to be a Ceiling Pro Practitioner. We offer ceiling cleaning services to offices and office spaces as well as businesses of all sizes. Whether you’re operating from a large premises or a smaller venue, our office ceiling cleaning services will ensure you keep your staff safe and healthy in their working environment. A clean workplace is a safe workplace, and the same goes for premises with high customer footfall. Providing a fully hygienic and clean environment for your customers or clients ensures better first impressions and a better place to work. Our professional office ceiling cleaning services are delivered by Penn Jersey as a Ceiling Pro practitioner. The services are suitable for many different types of ceiling and remove the need for unnecessary painting or tile replacement where a simple, effective clean would work instead. Ceiling Pro’s unique and specialized cleaning process helps to ensure hygienic and sanitized surfaces, with a particular focus on acoustical and textured ceiling and ceiling tiles. Outstanding value for money: Don’t just replace your tiles, or even worse, paint over them. Consider professional office ceiling cleaning, to give longevity and stability to your office space as a whole. Maintain Acoustics: Acoustical tiles are so designed to absorb sounds, but if you paint over them you will lose this protection. Cleaning professionally with Penn Jersey offers a safe alternative. Maintain Fire Resistance: Any office should keep in mind the need to be fire safe at all times. Painting over tiles can negate this and render any fire protection inoperable. 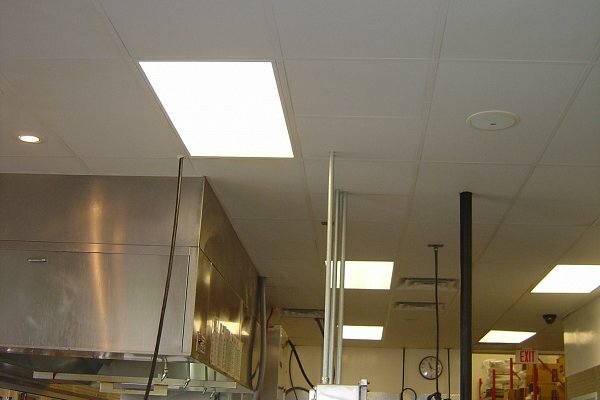 The cleaning process we use will not affect the quality or standard of your ceiling tiles. Brighter, cleaner surroundings: The lighting in your office space will be boosted by our cleaning process. In the short term this means there may not be any extra need for further lighting to be installed or new decorating to take place. A Healthy, Clean Space to work from: Cleaner, tidier spaces make for better working conditions. This is better for business and much better for your employees. Professional stain removal: Our safe, non-toxic cleaning processes will remove whatever is staining your ceiling and return it to an as new condition. We have worked with office ceilings under many different conditions and returned them to their absolute best. All our Penn Jersey crews are fully trained, well experienced and work quickly and safely to ensure the highest standard of workmanship on your premises. There will be no mess or inconvenience to your business during the period in which we undertake the work.